In the late 1840's and early 1850's pioneers from the East moved westward not only lured by the California gold fields but by the promise of undeveloped, furtile land. The era of the Spanish land grants had ended and numerous tracts of government land were available for purchase prior to the Homestead Act of 1862 when free tracts of land were available under certain conditions. Danforth Weeks and six year old daughter, Emily, joined him in 1851. Mother and daughter sailed down the eastern seaboard to Panama, walked across the Isthmus and completed the journey to San Francisco via the steamship North America. The Weeks settled in San Francisco briefly, operating a meat market on Stockton Street. Mrs. Weeks wasn't comfortable staying in San Francisco during this time when vigilante law was governing the City and times were dangerous. From there they must have spent a short time in Santa Cruz with Thomas, as their eldest son, Burt, was born there in 1853. By 1855, though, early maps show the Weeks family in residence on the land that incorporated the future Williams Ranch property. It is unclear how much land was initially purchased in the La Honda area as the original deed has not been located but we know it was between 2,000 and 3,000 acres. Family lore relates that when Robinson rode through the area, the wild oats were as tall as his horse's back. He established his permanent residence on the property and lived there almost exclusively until his death in 1887. He created and operated the Centennial Saw Mill on the La Honda Creek, was a county supervisor and a school trustee for the La Honda District. He was instrumental in building the road from the La Honda Junction to San Gregorio House in 1872. 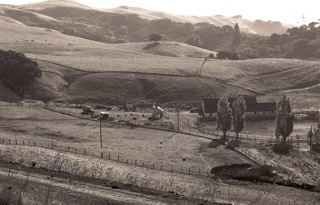 His interest in improving the road may have been prompted by the fortuitous location of his property along the stagecoach route allowing travelers a stop on their way from Woodside to Pescadero or San Gregorio. Traces of the old stage road are still evident along the ridge of the ranch during certain times of the year. 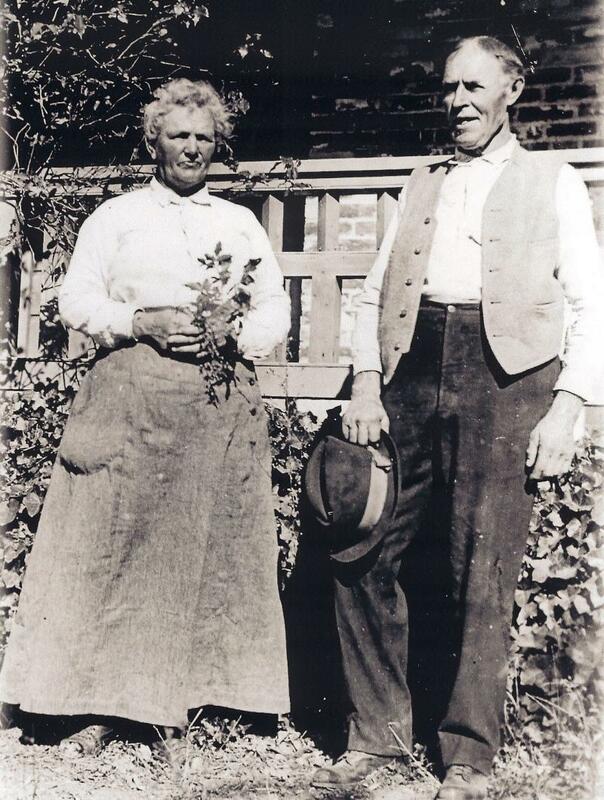 In 1866, daughter Emily and her husband, John Knott, purchased 300 acres from her father that included a farmhouse and dairy. The current Williams Ranch was included in that acreage. On May 3, 1873 the Redwood City Times Gazette reported, "Mrs. Knott's barn had the largest store of grain in all of La Honda". And on July 2 of the same year, "Mrs. Knott took inventory of her prize fowl stock, which number 1,000, namely chickens, ducks and geese. She had to feed them 100 pounds of cornmeal a day, two times a day, by the shovel full". On January 31, 1880, another article reported, "one of Mrs. Knott's prize pullets laid an egg which measured six and one half inches long and eight inches in circumference." Emily was also a skilled horsewoman. Proof of her riding prowess was in winning the Russ House Premium at the World's Horse Fair, September 10, 1864 at Bay Vie w Park. The silver trophy, goblets and tray, in the possession of Pam Williams McReynolds states, "To the most accomplished Lady Equestrian, Miss Emily D. Weeks." Emily bred and raised racing trotters, with pedigrees back to the great Hambletonian. Ledger books chronicling equine family trees and her breeding business are still in existence. (If only she had kept the same detailed notes concerning her own family tree, laments family historian, Pam McReynolds.) Emily's daughter, Ruby, said that Emily had a business relationship with Leland Stanford involving racehorses but a brief search of the Stanford archives found nothing to substantiate the story thus far. 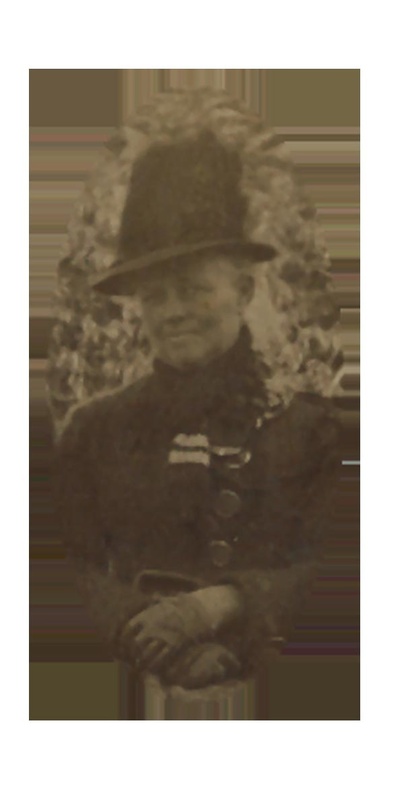 Ruby M. Knott was born on the ranch in 1874 joining sisters Cordelia and Mabel. When she was of school age, she and her sisters traveled by buckboard wagon over the hills to La Honda School every morning. 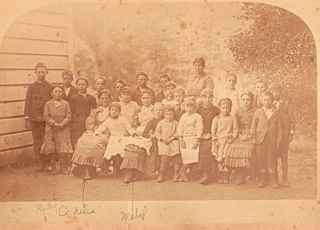 They attended school only in the summer because it was too muddy in the wintertime to make the trip. Ruby recalled that one day they arrived at school to find a bear on the front porch, prompting the teacher to cancel class for the day. In 1885, Emily's husband, John, a conductor with the Burlington Railroad, was killed in Plattsmouth, Nebraska, leaving Emily a widow with three young daughters and the sole responsibility of raising them and running her ranch business. In 1904, Emily deeded 150 acres to her sister, Sarah Kirkpatrick, for the selling price of $10. The original 300 acres were naturally divided by the presence of Weeks Creek bisecting the two parcels. The Kirkpatrick place was later sold to the Pearson family who still owns it today. Ruby married Captain Charles Henry Williams in La Honda in 1895. He was an immigrant from Sweden, born Carl Henric Willquist, anglicizing his name, as many did, when he came to this country. Swedish cousins tell us that he was from a long line of seafaring men and at 15 left home to become a sailor. He never returned to nor acknowledged his native country, much to his mother's dismay. Captain Williams eventually became a superintendent for the Alaska Packers Association, a salmon fishing and canning business based in San Francisco. Ruby, who was miserably seasick on the one trip she took with him, remained home to manage the ranch she had inherited from her mother. She recalled starting her day out early by feeding the workers then joining them in their outside labors. Breakfasts consisted of ham, sausages, eggs, pies and biscuits, all cooked on a wood stove. Then after her own workday she was back indoors to prepare supper for the crew. She was all of 4'10" but there was quite a presence about her. Ames of Palo Alto. They married in 1918, just weeks before Collis left for WWI. While Collis and the rest of the men were away at war, Ruby, Phyllis and Ruby's sister, Cordelia, finished building the ranch's large stock barn. In the early 1920's, Ruby and John Greer, a neighbor and family friend in Palo Alto, joined partnership as Laurel Vale Farms. A 1923 Palo AltoTimes article describes the farm on Hamilton Ave. Extension, close to what is now downtown Palo Alto, as comprised of fields of hay, corn and alfalfa as well as numerous buildings housing stock and dairy equipment. About ten years earlier, Ruby's mother, Emily, also ran a dairy in Palo Alto (then Mayfield) called Wildwood Dairy, which supplied milk and other dairy products to Stanford University. 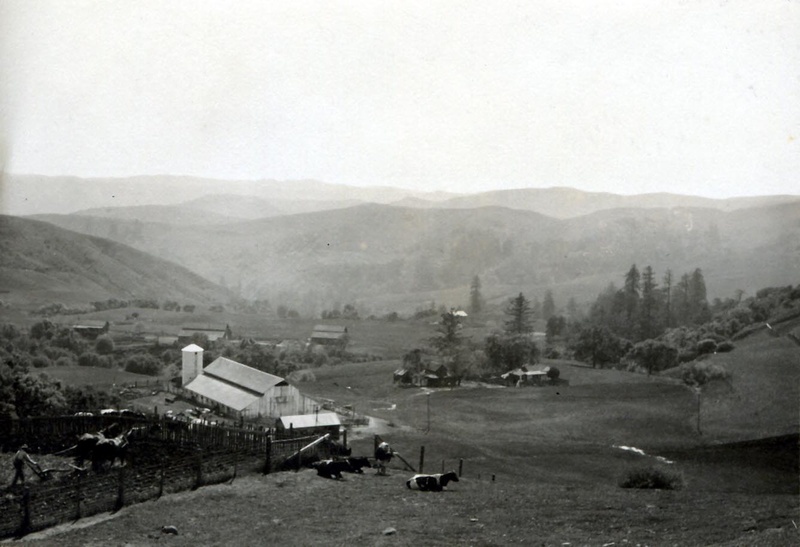 Throughout those years, the La Honda property was used for grazing dairy cattle, calves and horses. During the Depression, the Palo Alto property was sold and the family moved to San Jose. 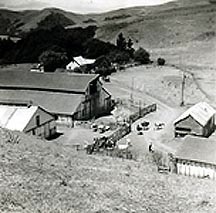 In the mid-1940's after the Captain's death, and once her grandson, Collis Jr. "Cy" returned from WWII, Ruby, Collis Sr. and Cy became partners, farming not only the La Honda ranch but also leased land on the coast and around Stanford University. The Williams then leased a second ranch in Santa Clara, not far from the present Paramount's Great America theme park, where the entire extended family including farmhands, resided. By 1950, however, the ranch in Santa Clara was vacated and Collis Sr., Phyllis and Ruby made their permanent home on Williams Ranch. Cy, his wife Olga and children lived nearby, just a mile or two down La Honda Road. The partners continued their farming business until 1956 with Ruby keeping a few horses and dairy cows on the ranch. Wheat and oats were harvested here and rich, black topsoil was sold to Fontana's, a landscape materials supply store in Redwood City. Times were getting hard even back then for the local farmers. The partnership disbanded, farming on the leased lands as well as the ranch ended and most of the equipment was sold. Cy entered into full time employment in San Bruno and Collis Sr. and Ruby retired. In the mid 1960's the ranch pastures and barns were leased to a family friend, which turned out to be an unfortunate decision. The property declined due to overuse of the land and many of the buildings deteriorated from neglect. Collis Sr. passed away in 1968 and Ruby, at the age of 94, followed in 1969. Phyllis continued on alone in the ranch house, with Cy and family now living in a newly built home on the border of the ranch property. After evicting the negligent tenant, Cy, with the help of his sons, Curt and Mark, worked at cleaning up the property and getting rid of the accumulated debris left behind, an overwhelming job. He and Phyllis started pasturing horses to help pay for the clean up as well as insurance and taxes on the place. Tragedy struck the family, however, in 1984 when after a lengthy illness, Mark passed away at the age of 36, followed by Cy shortly afterward. 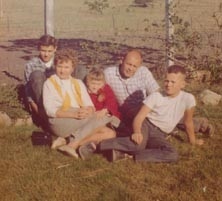 The remaining family continued to help Phyllis with the pasturing business. Which brings us to the present time. In 1999 Phyllis passed away at 101 years old, leaving the ranch property to her grandchildren, Curt Williams and Pam Williams McReynolds. Lots of sweat equity was put into renovating the vintage barn, adding new facilities and improving the landscape. 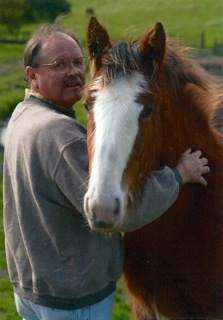 Curt and his wife expanded the boarding business Cy had sta rted and created Laurelvale Clydesdales. Curt loved the big horses and made many new friends through exhibitions, trainings and horse shows. Tragically in July of 2004, Curt passed away suddenly from esophageal cancer, leaving the family in total shock. Curt's children, Katie Williams Simpson and Jeff Williams, inherited Curt's half of the ranch. Since then Pam and her husband Cris McReynolds have built a new home on the site of the old ranch house. 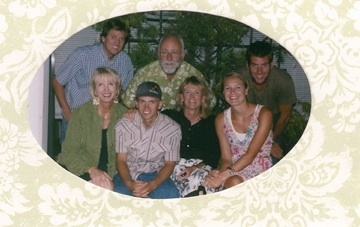 They moved onto the ranch property in June 2008 along with their son Scott and nephew Jeff. Shortly afterward, Pam started a small boarding business of her own. The eighth generation of the Williams Family, John Patrick "Jack" Simpson was born to Katie and her husband, JD Simpson, in January 2009. Caroline Claire "CoCo" Simpson followed in November 2010 and Williams David "Will" Simpson joined the crew in November 2012. In California, in this day and time, the instance of seven generations living and working on their homesteaded property is rare and unique. The Williams/McReynolds Family is extremely proud to be the heirs of such a rich and wonderful heritage.